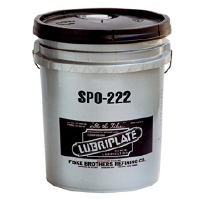 LUBRIPLATE FGL-0 Food Grade Grease Lubricant is qualified for centralized lubrication systems on high-speed can-closing equipment. This product is nonseparating in pumping devices and high-speed equipment. FGL-0 provides excellent anti-wear properties, exceptional water resistance, rust, oxidation and corrosion preventive qualities. 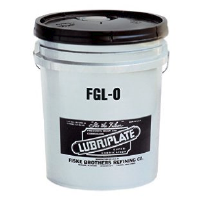 LUBRIPLATE FGL Greases have been formulated to meet the increased demands of the food, beverage and pharmaceutical industries. The trend towards NSF H-1 Registered* products to replace H-2 products has meant a great deal of research and testing to improve the capabilities of lubricants with incidental food contact. LUBRIPLATE FGL greases are the result of these new demands. Unique thickener combination resists oil bleed problems often encountered using conventional food grade lubricants. 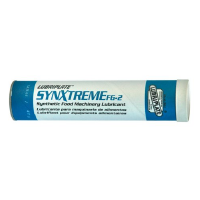 Longer lasting film allows less lubricant usage and extended re-greasing intervals. often experienced in high speed filling and packaging machinery. 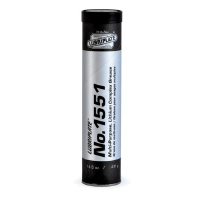 High temperature stability and oxidation resistance.